As Egypt is building factories to manufacture Chinese cars, China is striving to become the world’s biggest car exporter. As trouble increases in mature markets in the West, China is focusing on less production-independent countries in order to “get rid” of its surplus of manufactured goods – especially cars. One can notice this phenomenon by observing the streets of Cairo, where the representation of Chinese cars is increasing – mainly due to their low prices. In terms of production and manufacturing, China by far overhauled North America, Japan and Germany. In 2011, it manufactured 18.4 million motor vehicles, of which 14 million were automobiles for personal use. This amounts to 23% of the world market. China then sold 14.5 units locally and exported the rest. It might seem like the percentage of exports is low; yet, one needs to acknowledge that it is vastly growing. A reason for this definite growth is China’s confidence and lack of fear when talking about insecure, unstable markets. It goes and tries its luck, following a successful business model. In Brazil, China conquered 2% of the automotive market in just two years, und thus, it became a competitor for Fiat, Volkswagen, General Motors and Ford in that region. Chinese exporters also focus on Iran, Iraq and Syria – countries with an extremely unpredictable future. Daniel Berger, Director of Shanghai’s EAC International Consulting branch in Germany, told a German newspaper that Peking is planning on making China the biggest car-exporter worldwide, by providing automotive companies and organizations with financial help and access to governmental researches. They also invest in “importing” designs, quality-measures, and innovation from foreign countries. Keeping track of China’s export-plans is extremely important for the region’s, and especially the country's economic future, as economic power has clearly shifted from the West to the East. Ghabbour Auto recently opened a revamped vehicle assembling facility in Egypt and claims that the facility is the first in MENA to include fully robotic paint shop. This facility will be used exclusively to assemble Chinese Geely cars. 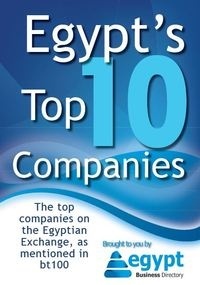 To find out more about the importance of Asian-Egyptian trade relations, await Egypt Business Directory’s interview with Karim Helal, the Chairman of the ASEAN-Egypt Business Association (AEBA), which will be published next week.